Local Pour, the popular River Oaks-area gastro bar, has opened a second location, and it’s in the heart of the Woodlands, in the new Hughes Landing waterfront development. Local Pour is a great fit for the Woodlands; it’s an upscale but casual setting, with dozens of beers on tap, a full bar, and an interesting menu, created with the help of notable Houston chef Randy Evans. 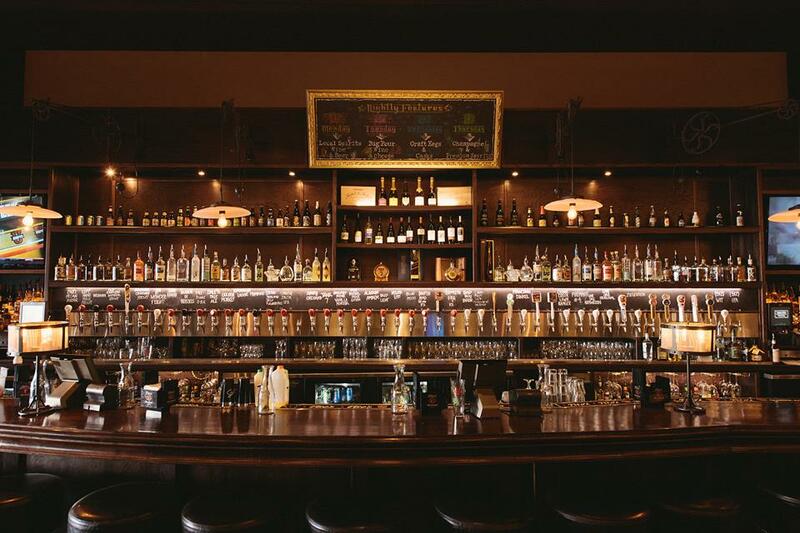 Did we mention it has a full bar? On our initial visit, we fought for a parking space in the nearly complete Hughes Landing area. We grabbed a Chef’s Table, strategically located right in front of the kitchen. It’s a bustling spot with lots of energy; if you’re looking for a quiet, intimate evening, sit elsewhere. But it was a perfect vantage point for us to observe the goings-on at this new hotspot. We were able to sneak peeks at each order leaving the kitchen, and a few items grabbed our attention. Our server Olivia filled us in on what we saw zipping by, and we placed our order. The kitchen was slammed (typical new restaurant jitters) so the order took a bit longer than we’d like, but Olivia did an outstanding job of keeping us informed and well hydrated while we waited. She’s a gem. 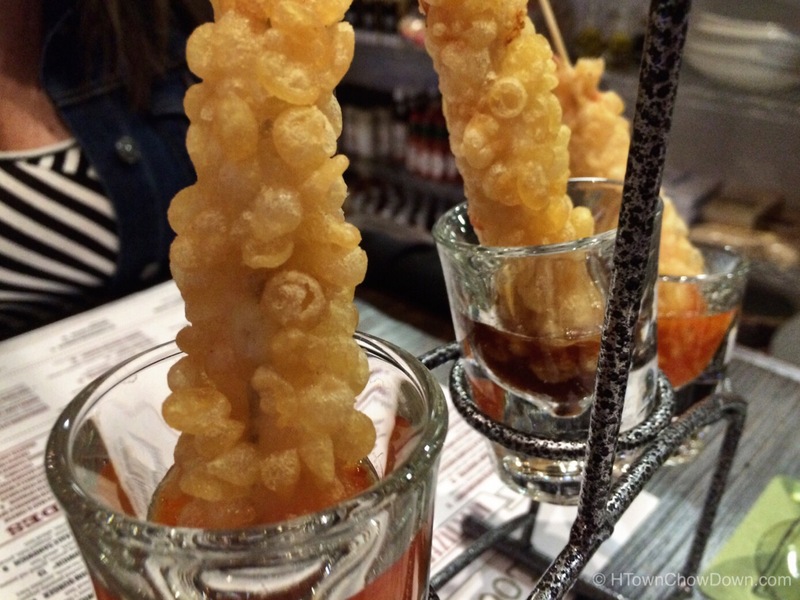 First up were the tempura shrimp shooters. Four large shrimp, aerobicized into a sleek, linear shape, are battered and fried with a light, puffy tempura breading. They’re poked into shot glasses, two with a biting wasabi ponzu sauce, and two with a sweet spicy chili sauce. 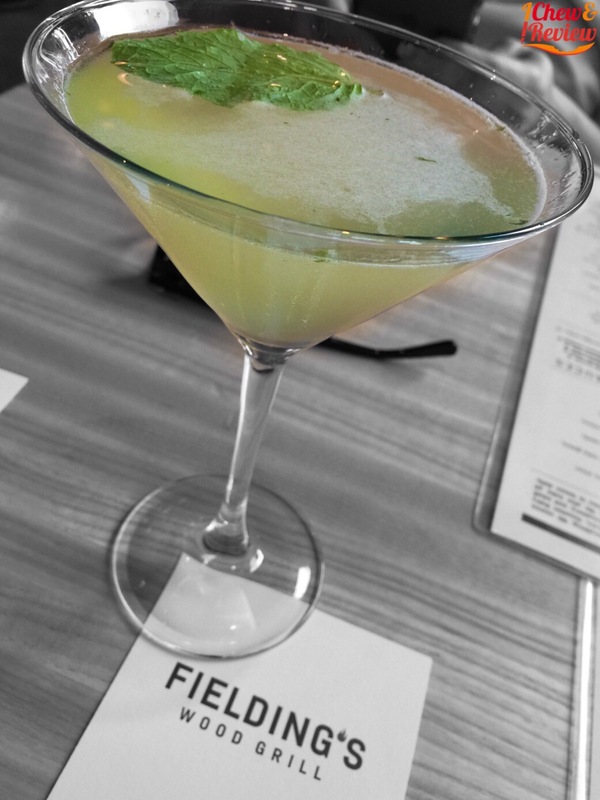 Flavors were bold; the wasabi ponzu will absolve you of any allergy-related congestion, and probably of a few lesser sins as well. The sweet spicy chili sauce was less startling but very flavorful; the result was a very good appetizer. After devouring the shrimp, we moved on to the Korean BBQ lollipops. Three medium-sized pork ribs, each with a nice chunk of meat attached, are roasted and glazed in a sweet Korean BBQ sauce. 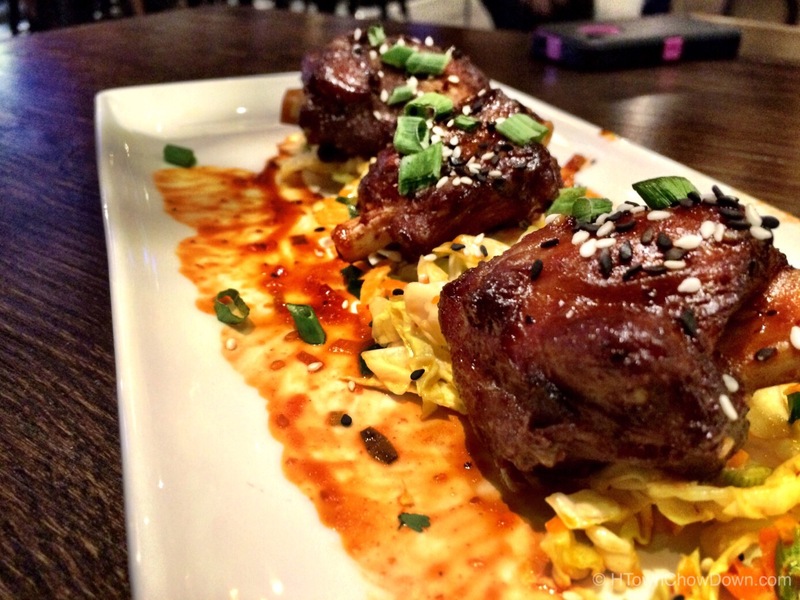 We think Korean BBQ is going to be a big thing in the Woodlands, and Local Pour are riding the front of this trend. Another tasty dish. Finally it was time for the entree. We selected the LP Burger, a half pound, hand-formed patty with a custom grind of short rib and chuck. 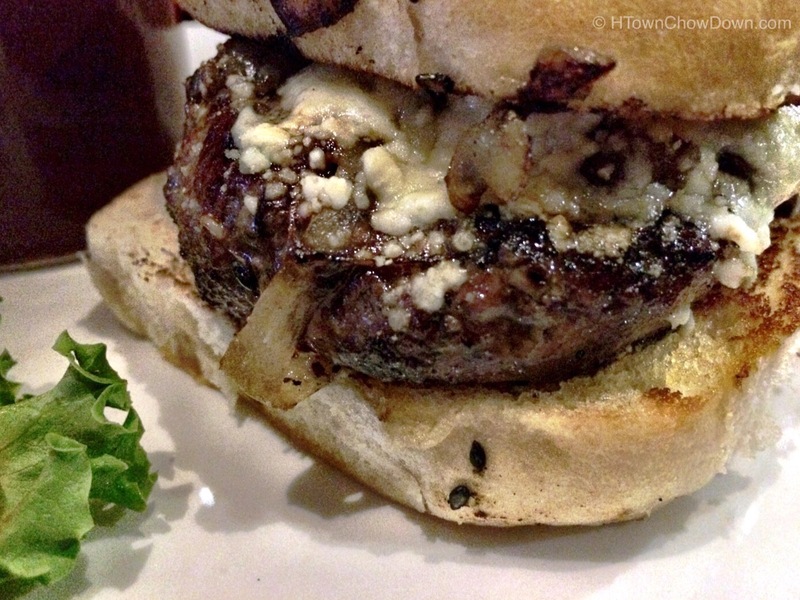 It’s topped with just enough bleu cheese and caramelized onions, and served on a soft sourdough bun. This is a very good burger; the grind makes for a flavorful patty, and it comes out very juicy. The toppings accent without overwhelming, as is easy to do with bleu cheese. In short, this is a crave worthy burger, and one of the better ones in the Woodlands. We’re fans of Local Pour. They’ve combined a talented kitchen with a well-stocked bar, and packaged it in an upscale setting. 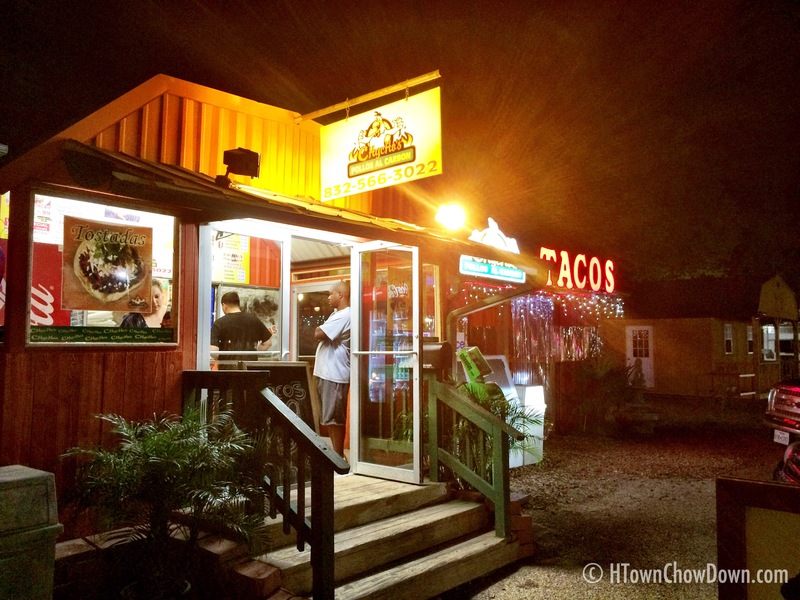 We think it’s going to be a big hit in the Woodlands, and look forward to returning again soon.